PHARR- PSJA Child Nutrition Head Baker Josefina Salinas recently won 1st place in Juanita’s Foods‘ “Vive la Tradición Homemade Menudo Contest“ and was named the Texas Menudo Queen at the Grand Finale held January 20, 2018 at the Art Insitute of Houston. Hosted by Juanita’s Foods, the Vive la Tradición Homemade Menudo Contest seeks to crown the king or queen of homemade menudo in California and Texas. Contestants had to register online for a chance to compete in one of six regional menudo cook-offs in California (Fresno, Los Angeles and San Bernardino) and Texas (Houston, McAllen and San Antonio). Finalists from the regional events advanced to the Grand Finale. 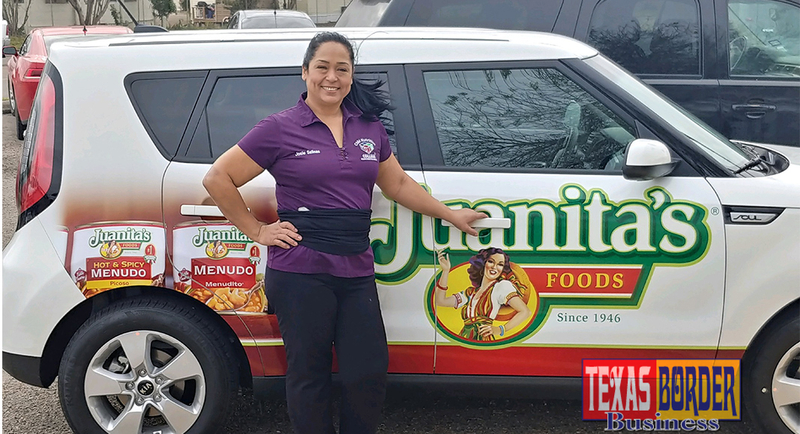 As the winner of the contest, Salinas has been named the Texas Menudo Queen and received a 2018 Kia Soul wrapped with sponsor advertising. After keeping the sponsor advertising for one year, Mrs. Salinas will receive an additional $2,000. “I am so grateful for the opportunity to have participated in this competition,” said Salinas after the announcement. “I’d like to specially thank my family, grandson and friends for all their support during the competition.” Congratulations!